Millions of algorithm deployments worldwide over the past 15 years. Near-infrared and visible light spectrum facial images can be matched against each other. Face Verification SDK is available for developing large-scale high-security apps. Simultaneous multiple face processing. VeriLook 11.1 performs fast and accurate detection of multiple faces in live video streams and still images. All faces on the current frame are detected in 0.01 - 0.86 seconds depending on selected values for face roll and yaw tolerances, and face detection accuracy. After detection, a set of features is extracted from each face into a template in 0.6 seconds. See technical specifications for more details. Gender classification. Optionally, gender can be determined for each person on the image with predefined degree of accuracy during the template extraction. Live face detection. A conventional face identification system can be tricked by placing a photo in front of the camera. VeriLook is able to prevent this kind of security breach by determining whether a face in a video stream is "live" or a photograph. The liveness detection can be performed in passive mode, when the engine evaluates certain facial features, and in active mode, when the engine evaluates user's response to perform actions like blinking or head movements. See recommendations for live face detection for more details. Emotions recognition. VeriLook can be configured to recognize emotion type in a human face. Six basic emotions are analyzed: anger, disgust, fear, happiness, sadness and surprise. A confidence value for each of the basic emotions is returned for the face. Larger value for an emotion means that it seems to be more expressed in the face. Facial feature points. The points can be optionally extracted as a set of their coordinates during face template extraction. Each of the 68 points has a fixed sequence number (i.e. number 31 always corresponds to nose tip). Facial attributes. VeriLook can be configured to detect certain attributes during the face extraction – smile, open-mouth, closed-eyes, glasses, dark-glasses, beard and mustache. Age estimation. 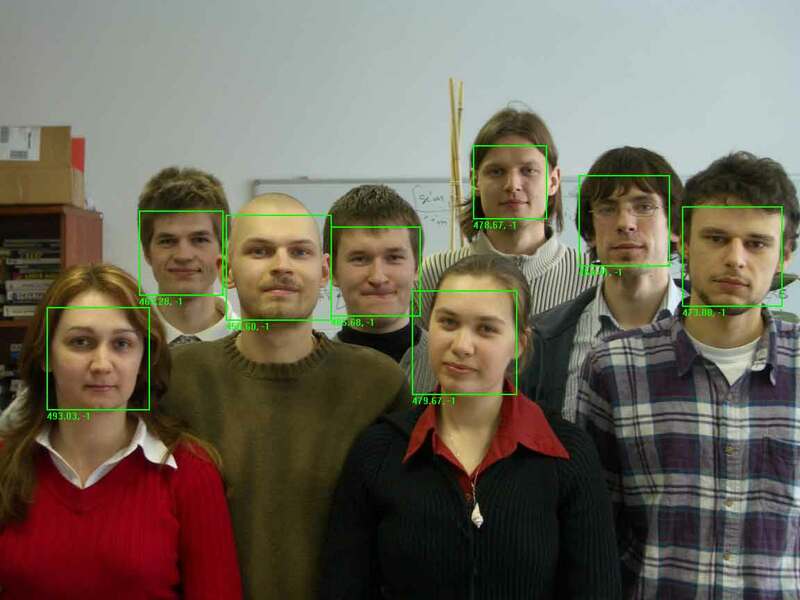 VeriLook can optionally estimate person's age by analyzing the detected face in the image. Tolerance to face position. VeriLook allows for 360 degrees of head roll. Head pitch can be up to 15 degrees in each direction from the frontal position. Head yaw can be up to 90 degrees in each direction from the frontal position. See technical specifications for more details. Identification capability. VeriLook functions can be used in 1-to-1 matching (verification), as well as 1-to-many mode (identification). The VeriLook 11.1 face template matching algorithm can compare up to 40,000 faces per second on a PC. See technical specifications for more details. Small face features template. A face features template can be as small as 4 Kilobytes, thus VeriLook-based applications can handle large face databases. Also, 5 Kilobytes and 7 Kilobytes templates can be used to increase matching reliability. See technical specifications for more details. Near-infrared and visible light spectrum face images can be used for face recognition. VeriLook algorithm is able to match faces, which were captured in near-infrared spectrum, against faces, captured in visible light. See the testing results for details.